During these days, many of our fellow Muslims are blessed to experience the journey of their lifetime, the Hajj. The rest of us are at home, wishing and praying that we get a chance to go as well, inshaAllah. We can’t be there ourselves this year. We can, however, follow the journey of the pilgrims and imagine how we would feel every step of the way. Today’s activity is a book, aimed for older kids, to challenge their imagination. In each page of this book, there is a prompt that places us at each step of the journey of Hajj. We can imagine that we are experiencing each part, and we can imagine what might be going through our heads every day that we are there. The book starts with the plane ride, and first goes to Madinah. After that, we perform Hajj, and end with the plane ride back home. Of course, everyone has a different trip schedule, and you can fill the book out in any order that you wish. There are certain pages that have to be filled out on certain days, like Arafah for example, and Eid. Other pages can be filled out on any day, and multiple pages can be filled out on the same day. 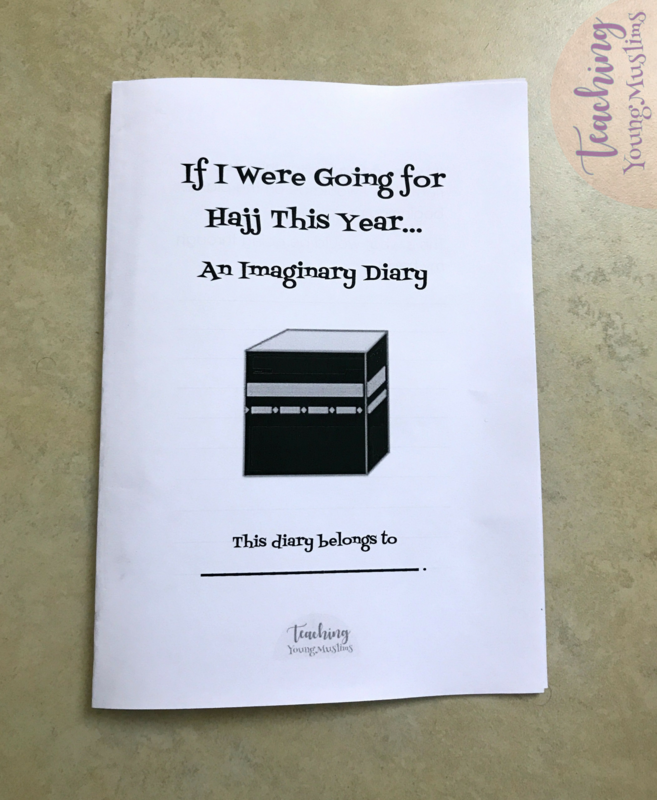 This activity is intended to inspire us to imagine ourselves at Hajj. May Allah (SWT) grant us all the opportunity to experience all of this ourselves soon. Click here to download this activity. Make sure to choose the option to print it out as a booklet.